Ahoy mateys! Jump aboard with a band of treasure-seekers and pillage your way across the seven seas. Shoot down the targets with your trusty dart pistol. But act fast! 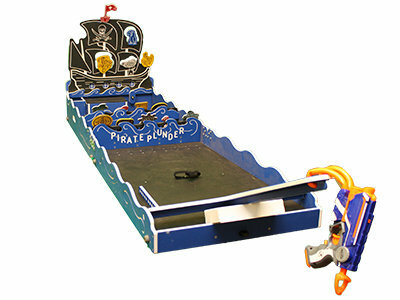 You don’t want to be the buccaneer to walk the plank! Dimensions 23 x 36 x 10 in. (folded) 23 x 96 x 28.5 in. (open) Weight 49 lbs.